SOLD 2206 Pineneedle Row, Mississauga $3,199,900 | More Sold By Farr! This Exquisite David Small Design Will Simply Take Your Breath Away! Modern, Tranquil & Free Flowing Open Concept Offering Approximately 6,500 Square Feet Of Luxury. 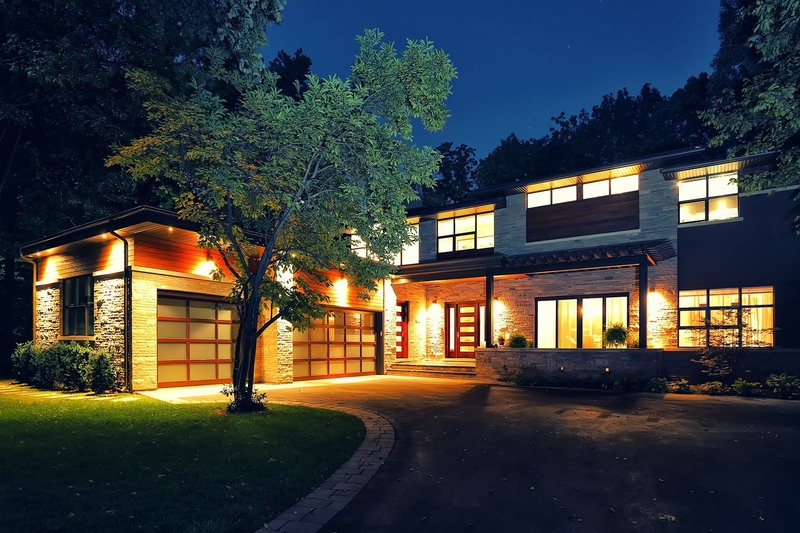 Nestled In An Exclusive Enclave Multi Million Dollar Homes, Situated On A Huge Private Lot With Unobstructed Wrap Around Views Of The Lush Ravine Valley, Credit River & Mississauga Golf Course. This Stunning Home Has Meticulous Attention To Detail From White Oak Hdwd Floors Honed On Site To Custom Millwork Throughout. Steps To Shopping, Amenities & The Renowned Trillium Hospital. Proudly Boasting 10 Foot Ceilings On Main and Upper Levels. Sound System Offering Ambiance Throughout The Home. Motorized Hunter Douglas Blinds. Sleek Gas Fireplace With Marble Surround. Private Main Floor Office, Overlooking The Front Yard. Multiple Walk Outs. Spa Like Bathroom Retreats With Rain Head Showers, Soaker Tub & A Numi Throne. Modern Custom Kitchen With Bertazzoni Gas Stove, Chef’s Pot Filler Tap, Subzero Fridge, 2 Dishwasher, Cascading Centre Island. Stunning Views From Every Room. Main Floor Laundry With 3 Car Garage Access. Mud Room With Side Entry To Yard & Pool, Offering A 3 Piece Full Bathroom For Pool Guests. 9 Foot Ceilings In The Lower Level, Perfect For Entertaining With A Sprawling Rec Room, Games Room With Stone Fireplace, Wet Bar, Heated Floors, Wine Cellar Room, Walk Out To Ravine Yard, A 5th Bedroom With It’s Own 3 Piece Bath. Not To Mention A Magazine Worthy Backyard Oasis With An Inground Salt Water Pool To Spend Those Hot Summer Days In. Luxury, Comfort, Style & Function All Blend Together To Form This Masterpiece Home Which Lends Itself Effortlessly To Accommodate Your Beautiful Family Or To Be The Quintessential Entertainer’s Must Have Dream House. A Timeless Classic Of Modern Beauty And Design At It’s Finest. Truly A One Of A Kind And Easily An Unparalleled Creation.